This has been an embarrassing day for the Indians. They came into Perth hoping that they could get a good start in the pursuit of winning this Test match to keep their chances alive of leveling the series, but the batsmen contrived yet again. 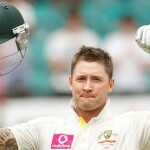 After being sent into bat by Michael Clarke, India was shot out for a paltry 161 with the Australian bowler s in red-hot form. And as if that was not enough, David Warner added salt in India’s wounds with an unbeaten 104 off just 80 balls, as Australia ended at 149 without the loss of a wicket in a mere 23 overs. 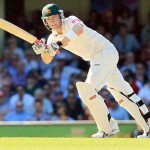 As of Warner, the moment he came into bat, he was positive in his approach. He started off well with an punch down the ground off the bowling of Zaheer Khan and the timing was so good that the ball raced past mid-off for a boundary. And if he was not getting the fours, he did manage to take the ones and twos on a regular basis which obviously kept increasing his strike rate. Yet, he continued to attack the Indian bowlers and today it paid off big time. Zaheer was put under pressure in his first spell itself while Ravichandran Ashwin’s replacement in the game, R Vinay Kumar was hit for a towering six over long-on in his very first over. Vinay Kumar was brought into the attack by MS Dhoni in just the sixth over, after Umesh Yadav went for 14 in his first two. The manner in which Warner batted was as if he was preparing to play in the IPL for the Delhi Daredevils, and I am certain that if the team management were watching this innings they would be joyous already. Ishant Sharma though early in the innings decided to unsettle Warner who was getting more dangerous, with some sledging. However, Warner not only got into a verbal banter with Ishant but ensured that the banter made him more fired up and make Ishant and India look like fools when it comes to playing mind games. He was ‘murdering’ the ball away as Vinay Kumar was a victim of it, despite bowling short of length deliveries on a pitch like WACA. Having said all this, it was not a flawless century with Warner having his share of fortune in some moments of the innings. While on 46, Warner cut Zaheer’s Khan delivery outside off in the air, but was just outside the reach of the diving point fielder. And he could have been run out soon after scoring his fifty but with lightening fast speed, managed to get back in the crease. Secondly, throughout the innings Warner missed out on poor deliveries which could have got him more runs, as he was looking to smash almost every ball to the boundary especially those which were coming on to the bat. Zaheer and Vinay Kumar were proving to be ineffective as Warner’s batting made Dhoni confused when making his bowling changes, as he was getting more desperate for atleast a wicket in the Australian innings. Ishant had to be promptly got in to bowl, and Dhoni must have had high hopes from him since the conditions suited his type of bowling the most and he had earlier provoked Warner so he had the maximum probability of getting him out. But he was greeted with a straight six off a length delivery in his first over itself showing that sledging would work against Warner, especially if he is in his elements. The sound from Warner’s bat was like music as he was timing the ball beautifully with each shot he played and it kept frustrating the opposition even more. 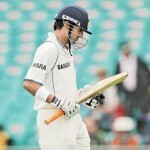 It was as if Matthew Hayden was at the crease, as there was an exhibition of sheer ‘power batting’. Ishant was continuously thwacked by the short New South Wales opener even as he tried to bowl him short-pitched deliveries, but he seemed to have a fitting answer for almost everything hurled at him. Umesh Yadav though gave India a minor glimmer of hope after one of his bouncers crashed into Warner’s ear and he was in some discomfort. Yet, nothing could stop Warner in his desire to continue batting as Friday the 13th of January, 2012 was his day and it is rightly said after all, ‘Fortune favours the brave.’ Warner showed no signs of the injury as the next ball was duly put away for yet another four with his feet going above the ground off a short and wide delivery outside off. The Australian commentators on Channel Nine were also pumped to watch such an innings and lost it all when Warner hit a massive six over long run off Vinay Kumar to bring up a well deserved T-20 style century, just as Sehwag scores when he bats in Test matches. 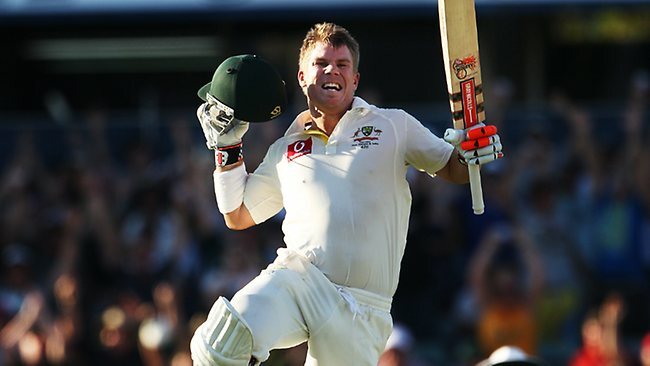 Warner was on 102 off just 69 balls, making it the fourth fastest century of all time in Tests, after Viv Richards 56-ball hundred against England in 1986, Adam Gilchrist’s 57-ball hundred against England in 2006 which made people remember this innings after watching Warner bat in this fashion today and John Gregory’s 67-ball hundred against South Africa in 1921. Ed Cowan at the other end thrived with Warner’s innings but he certainly had the best seat in the house as he witnessed Australia’s third fastest Test century ever, a special knock indeed. This innings also reminded some of the two centuries he scored in the Champions League last year, showing how flamboyance is in the ‘in’ thing in Test cricket these days. If he brings up such innings time and again, it would not be astonishing to see Australia reach No.1 in the near future in Tests at least as the team might have found Hayden’s successor. The million dollar question now remains – Can Cowan play the role Langer did? If he does, then the Aussies can boast of the finest opening partnership in Tests in a while and these are worrying signs for any opposition.